Citroen has revealed the European version of its flagship new C5 Aircross SUV as the brand continues its international SUV offensive. It will be launched in Europe at the end of 2018 and will be the first Citroen with a plug-in hybrid powertrain at the end of 2019. The new-generation SUV has a unique and assertive personality, and features a new personalisation offering with 30 exterior colour combinations. Citroen says the new C5 Aircross SUV is the most comfortable model in its segment, thanks to the Citroen ‘advanced comfort’ programme, ‘progressive hydraulic cushions’ suspension and advanced comfort seats. The new C5 Aircross SUV also boasts unrivalled modularity with three individual sliding, folding and reclining rear seats, and best-in-class boot space. The modern and high-tech new C5 Aircross is equipped with 20 driver assistance systems (including highway driver assist and grip control ) and six connectivity technologies (including wireless smartphone charging ). Citroen says the C5 Aircross is inspired by customers who do not want to sacrifice practicality and comfort. Citroen is actively moving into the C-SUV segment which is a growing market in Europe, and one that already accounts for a quarter of car sales worldwide. Following the resounding sales success of new C3 Aircross in the B-SUV segment, which has already sold more than 80,000 units since its launch late last year, Citroen is continuing its SUV offensive with the European reveal of the new C5 Aircross, which has already sold some 40,000 units in China. Citroen says it is proud to offer a completely new experience in terms of in-car comfort and modularity in the mid-size C-SUV segment with the new C5 Aircross. 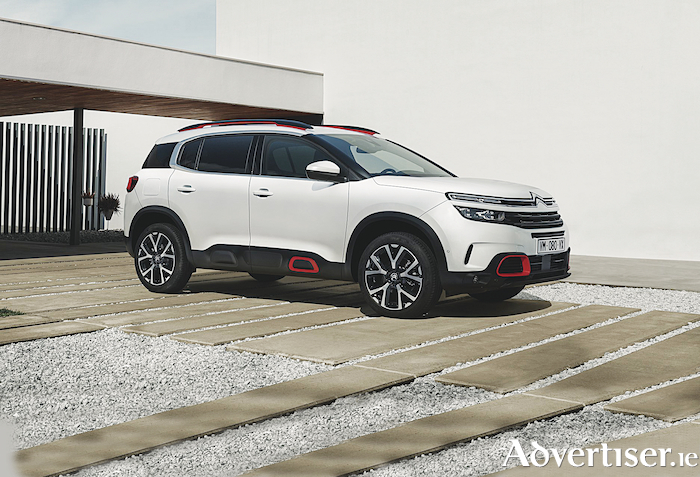 The changing needs of customers directly inspired this latest addition to the SUV range, further reiterating the importance of Citroën’s brand signature – “Inspired By You”. More on this new model closer to the estimated launch date here late this year.